Ed. Note: If you are reading Palate Press you are a part of a bustling and quickly growing part of the wine world — the online wine cognescenti. No doubt influenced by blogging, online wine news and stories are quickly presaging what you will see in print in the coming weeks and months. In a period of time in which news stories and cycles are measured in hours and our connected world shuts the window on our unconnected life, there is a great deal of value in doing short-term reflection on the rapid change that is occurring minute by minute, week by week and month by month. In this thoughtful piece, author Ken Payton does a quick survey on the less than 24 months old life of the Wine Bloggers Conference(s), the sensibilities changed and the progress wrought. European and North American Wine Bloggers Conferences. Quo Vadis? The inaugural year of the Wine Bloggers Conference (WBC), as it was then called, was by turns a blustery and timid affair. 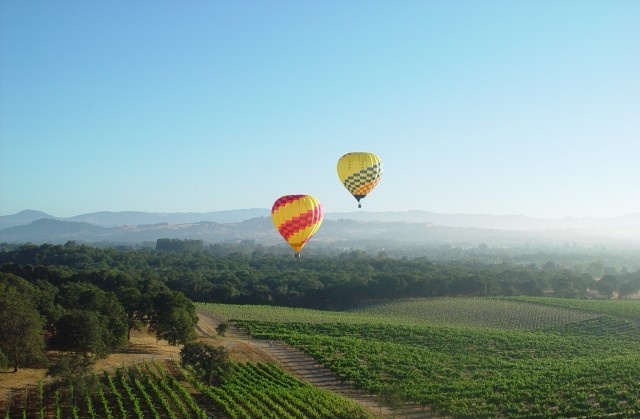 Held in Santa Rosa, California, in the fall of 2008, it was the first time wine bloggers from all walks of life, talent and knowledge had the opportunity to come together and share common interests in a collective forum. A few hot topics then discussed were blog monetization, winery relations, marketing, new Social Media, technology and, marginally, ethics. These were the days when the Able Grape was in beta, the Rockaway wine scandal warranted its own breakaway session, Gary Vaynerchuk was in ascendance and Tom Wark still smoked. The effort, a social experiment really, was largely to demonstrate to the wine industry at large that bloggers now had muscle enough to flex. Though the Conference founders clearly had a business agenda of their own, the assembled bloggers were only too happy to entertain the notion that the days of wine mags and their elitist writers were numbered. With sheer drive and democratic zeal, surely we were an irresistible force. Our Tweets would drive Mr. Parker into the sea. Much was absorbed by the attendees, many learning for the first time of the potential rewards of virtual networking. But just how to monetize a blog remained the conundrum despite Mr. Vaynerchuk’s keynote hallucination during which he insisted millions of dollars were just waiting to be harvested by bloggers with the right stuff. Alder Yarrow’s skepticism of such a claim was as amusing as it has proven prophetic. Ironically, though the web promises a kind of immortality, as I look through my links to this first noble Conference, I can find virtually none of the original sites. If such a 2008 Conference archive exists, I have not found it. Not content to wait for a full year to pass, the 2009 (North) American Wine Bloggers Conference (NAWBC), as it was now called, was held in July, again in Santa Rosa, California. The name change was required because of the launch of its “over the pond” counterpart, the European Wine Bloggers Conference (EWBC). This NAWBC attempted to consolidate friendships and emerging social and business networks, to introduce new marketing and web technologies, and to take another stab at blog monetizing. world existed beyond the sound-proofed conference room walls, the organizers put together more detailed explorations of wineries. 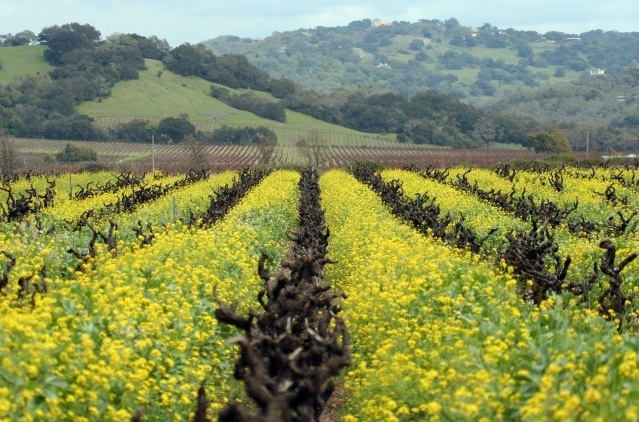 Though hamstrung (with a few notable exceptions) by the inflated rivalry between Napa and Sonoma at the expense of the rest of California, if not the United States, the Conference made great progress in the educational opportunities of the average wine blogger. Greater accent was placed on individual effort. Indeed, new to the mix was the increasing recognition by bloggers that some of their number were ‘performing’ better than others. Everybody by this time had a stat counter, and website metrics, the analysis of wine blogs by complex mathematical formulae (one supposes), was all the rage. And new companies appeared which could both ‘analyze’ blog stats and, for a price, find a blogger a way out of the wilderness. No longer were the assembled bloggers a revolutionary fraternity dedicated to disturbing the order of things. That eroding socius was put into stark relief by the spectacular Conference fail-whale of The Wine Blogger Awards. No one could any longer understand the methodology, especially when the success of a blog was now understood to potentially rest upon the feedback loop of recognition alone. To go viral; such was a bug all wanted to catch. 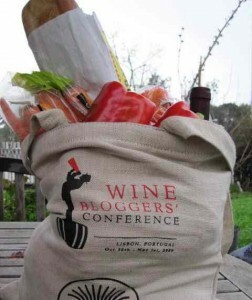 The 2009 European Wine Bloggers Conference, by contrast, was an exercise in listening. (I will not speak of 2008 as I have no direct knowledge.) Held in Lisbon, Portugal, in October, the EWBC succeeded in bringing together, as a whole, a far more complex group of bloggers. Differences among blogger and blogging styles were as pronounced as they were understandable. First of all they are specialists, in the main. There is no commanding ‘log line’, as we say in the film business. The European wine blogger has already been exposed to a bewildering variety of wines from a dozen nations. Difference rules the day. Rather than rows of wine-covered tables managed by a harried winery representative or winemaker, the EWBC featured long, luxurious tastings hosted by carefully selected winemakers. Networking took a backseat to quiet reflection. And a host spontaneously bursting into song was not altogether unexpected. Of course, markets and commercial traditions are altogether different in Europe, not to mention cultural imperatives and norms. And languages remain of real, though manageable opacity. But with something as basic as a well-developed public transit system, nearby wine regions were easily accessible. Whereas the NAWBC was a brash marketing juggernaut, the EWBC was (is) an intellectual adventure. The former encourages education; the latter requires it. What might Walla Walla, Washington bring this June 25-27? And very soon we shall learn of EWBC’s next destination (ed. note – the 2010 EWBC will be in Vienna, Austria, Oct. 22-24). I for one will be attending both. – Ken Payton works in a small Santa Cruz winery. He blogs at Reign of Terroir. Wish you had joined us in August, of 2008 in Rioja where the EWBC was started. Only 50 participants, which quickly grew to 150 the following year. I wonder though what role size plays on each one? Hello, Ryan. I would loved to have attended the first EWBC, you can be sure. The number of participants is important, no doubt. I personally favor the smaller group. It fosters a more collegial atmosphere. I would agree that the American version needs more collaborative effort. But I’d also mention that it seems the organizers are keen to take – and execute on – the feedback of the attendees, so I do approach the upcoming AWBC in Walla Walla with more hope than trepidation. Cheers! It is inevitable that blogger fellowship show signs of strain. Though the flood of publicity surrounding the AWBC helps float all boats, so to speak, when the noisy waters recede bloggers are left to make of their sites what they may with all the shiny new tools and skills the democratic experience AWBC ideally provided. This is an organic process entirely appropriate to such gatherings. But it is also paradoxical in that it creates the illusion of being the master of one’s destiny when, in fact, the mysterious workings of internet metrics, feedback loops, the conformist pressures of third-party marketing strategies, well publicized push-back from established media, all clearly play a role, certainly with respect to a blogger’s monetizing opportunities. Recall that in 2008 the Vaynerchuk mantra of ‘changing the wine world’ was on everybody’s lips. Despite or because of its ambiguity, bloggers fleshed out the notion with their own hopes and aspirations. A multiplicity of voices would, at the very least, replace ‘business as usual’. Now this ‘change’ model of blogging is, in my view, devolving into a ‘compliance’ model, if I may put it that way, with an increasing number of bloggers mimicking official industry voices they initially believed they had left behind. And this involves, among other things, advertorial compromises anathema to the 2008 crowd, and for which the Wine Advocate and WS are justly infamous. They don’t call this space Soap Box for nothing! I am also looking forward to Walla Walla. See you there!